Location: 26 km/16 Miles S of the City. Airport Overview: 2 terminals, 1 & 2 situated close together, across the road from each other. Both terminals are almost identical with the same facilities on offer. The terminals are on a single level, with departures at one end and arrivals at the other. Buses and taxis call at both terminals. Notes: Taxis wait outside the arrivals area of each terminal. Make sure the driver uses the meter, or agrees a fare beforehand as there are reports of visitors being ripped off. Taxi fares within Amman are very cheap, with most trips costing JOD 2 or 3. Taxi Fares: To Amman South JOD 15.500, Amman North & Madaba JOD 17.500, Al Ruseifa JOD 21.500, Alsalt & Alzarqa JOD 23.500, Dead Sea, Aljanoubih & Alshuneh JOD 28, Jerash & Alghor Alausat JOD 29, Ajloun, Al Azraq & Almafraq JOD 35.500, Irbid, Dair Abi Said, Al-Ramtha & Alkarak JOD 41, Al Ghour Al-Shamali, E Shuneh, Altafila & Alghour Al Safi JOD 47, Alshobak, Alsafwi & Al-Omari JOD 52.500, Maan & Aljafr JOD 58, Petra & Wadi Musa JOD 64, Aqabq JOD 92.500 & Iraqi Border/Al Rawayshid JOD 99. From the city centre to the airport JOD 15-25 depending on your bargaining skill/30-40 mins. Taxi Companies: There is an Airport Taxi desk in the arrivals area of each terminal, and a scale of taxi fares is posted outside the building. Air Port Taxi Tel 06 4451074 or 4451302. Sariyah Airport Express Bus to Amman: Route: Airport (Terminal 1 - Terminal 2) - Abdali Bus Station, Amman. The bus makes on request stops on the way into the city to pick up and drop off passengers. The bus passes by the Meridien and Marriott Hotels. Note: Transfer is possible at Abdali Bus station to buses travelling all over the country and beyond. Timings: Buses leave the airport every 30 mins 0700-2300, then 0100 & 0300. Buses leave Abdali Bus Station every 30 mins 0600-2200, then at 0200 & 0400. Travel Times: Takes 50-60 mins. Cost: JOD 1.400 Adult one way. Buy the ticket on board from the driver. Contact: Tel 08 800 22006. On-Airport Rental Car Providers: AVIS +962 6 445 1555 & EUROPCAR have desks in arrivals in both terminals. Off-Airport Rental Car Providers: HERTZ has an office on the road into Amman, about 7 km from the airport. Car Parking: 6 parking lots are available next to and between the terminals. Airport Tax: Visas on Arrival: British, Australian, Canadian, USA & EU passport holders can get a single entry 1 month visa on arrival for JOD 10. Only Jordanian currency accepted. Dep Tax: JOD 25 (Jordanians) & JOD 5 (foreigners). Notes: ATMs/Cash Machines available in both terminals, before immigration, and in arrivals. Bureau de Change/Currency exchange available before immigration and in arrivals. There are banks and a post office in each terminal. Wireless internet available at a cost. Airport Hotel: The Alia Hotel is ~500m from the terminals, and connected by a free shuttle bus. This bus picks up next to the Airport Express Bus stop outside each terminal's arrivals area. Airport Tel No: +962 (0)6 445 1132. Updated Apr13 ADV. Last Visit Oct07. Location: 5 km/3 Miles NE of Aman city centre. Airport Overview: A very basic airport, with separate departures and arrivals buildings close together. By Taxi: To Amman city JOD 2 or 3/15 mins. Taxis cannot pass the security barrier at the airport, so when looking for a taxi from the airport, walk up the hill past the security barrier for about 200m until you reach the roundabout with a small aircraft displayed on it. Taxis pass here regularly. Marka Taxi 141 489 3113. Notes: There is no ATM/Cash machine in the terminal buildings, however there is one in the Royal Jordanian Air Academy. Walk up the hill past the security barrier and it is 100m on the right. Bureau de Change/Currency exchange available in the arrivals building. Marka Airport mainly serves as a regional airport for commuter airlines and private aviation companies such as Royal Wings, Jordan Aviation, and Arab Wings. Airport Tel No: +962 (0)6 4891401. Location: 9 km/6 Miles N of Aqaba & 8 km/5 Miles NNE of Elat, Israel. 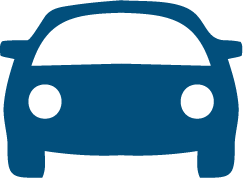 Car Parking: There is short term parking at the airport. Airport Tel No: +962 (0)3 2012111.